Great Barrington (Mass.) 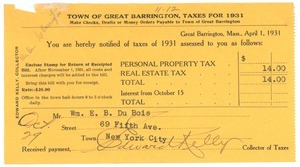 - For taxes assessed on Du Bois' home in Great Barrington. Great Barrington (Mass.) 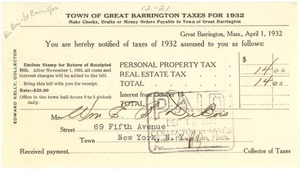 - Providing the total property tax owed on the Great Barrington home. Great Barrington (Mass.) 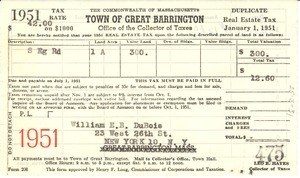 - Invoice for land tax for property in Great Barrington, Mass. Great Barrington (Mass.) 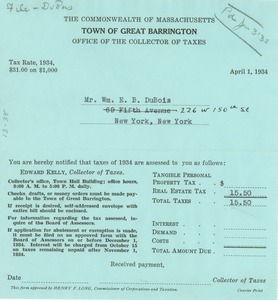 - For taxes assessed on Du Bois' home in Great Barrington. Paid. 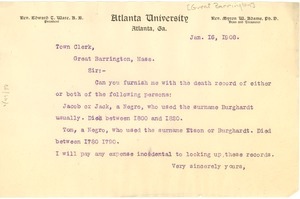 Atlanta (Ga.) - Retained copy of letter requesting death records for Burghardt ancestors in Great Barrington, Mass. 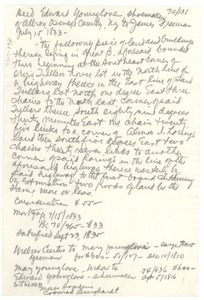 Great Barrington (Mass. 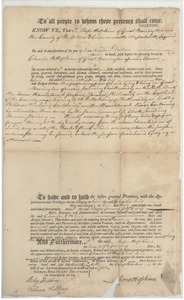 : Town) - Transcript of deed transferring ownership of Burghardt family land in Great Barrington to Charles Chippen from the Burghardts. 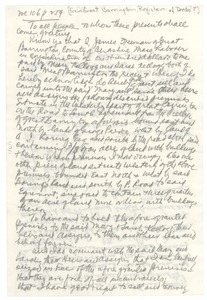 Great Barrington (Mass. 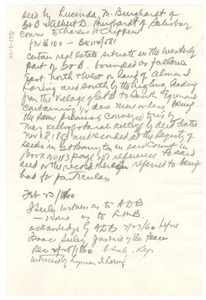 : Town) - Transcript of deed transferring ownership of Burghardt family land in Great Barrington to Mary Kellogg. Great Barrington (Mass.) 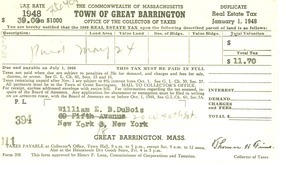 - Bill for taxes assessed on Du Bois's home in Great Barrington.